Nokia e71 blog: huge thanks, new tools, new ideas. This time I’d like to share with you some facts and ideas about the blog. It has now more than 31000 hits since July, the 9th, with max 1733 hits per day. I receive a lot of comments, questions and hints from you by mail. I’d like to thank for your interest and support! To make this blog visible, as you may have already noticed, I’ve added a few buttons as blog is now listed in Technorati, Blogged, Blog Catalog and Yahoo!’ MyBlogLog. 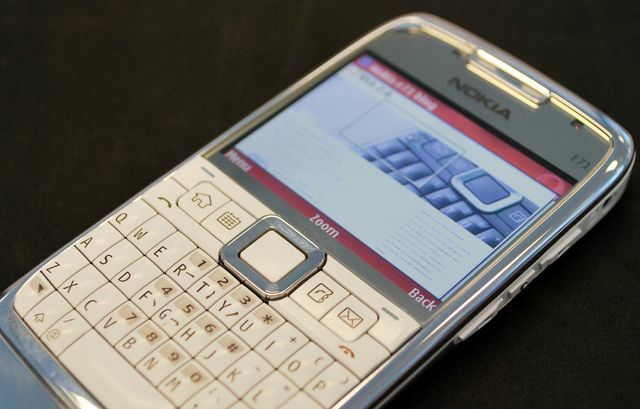 One more idea is collecting photos of Nokia E71, or sample photos taken with this device! For example some time ago I have received really cool photos of white steel E71 from Marul (check photo illustrating this post). What do you think about it? Are their any updates about E 71 ?.